In my humble opinion, Brig RIBS are the very best boats one can buy at this size in terms of their exceptional build quality as well as their sea-keeping and design. A lot of clever thinking goes into their designs and they are then put together by a skilled workforce. This particular one is one owner from new and has had very light local use here in West Wales. She comes as a complete package with the trailer, covers and equipment as can be seen in the pictures and our written details. 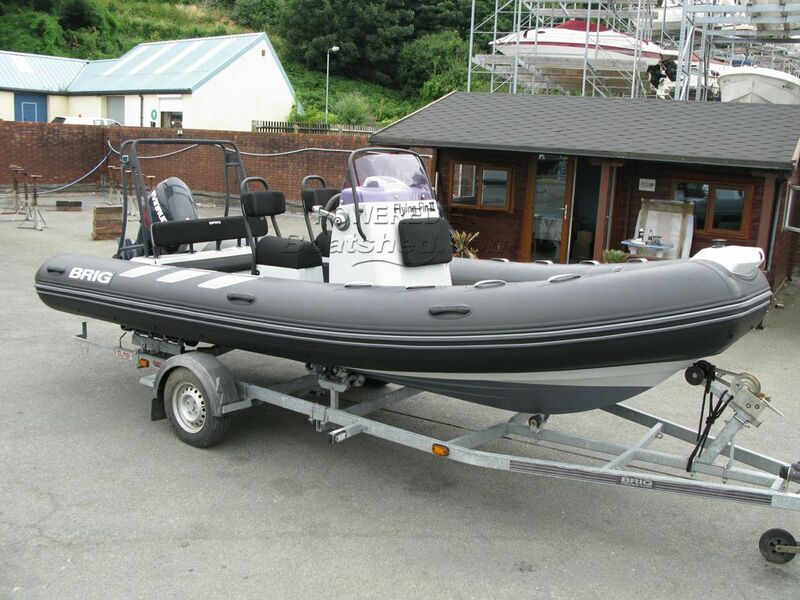 A very nice example of a top quality boat and at a keen price. This Brig N570 Navigator has been personally photographed and viewed by Mike of Boatshed Wales. Click here for contact details.